Many grandparents today are living long, healthy and active lives. They seek opportunities to spend significant time with and take on larger roles in the lives of, their grandchildren. To meet this need, the Bender JCC recently created the Bender-Dosik Grandparents Center, which is dedicated to supporting and celebrating grandparents by offering programs designed especially for them. Topics addressed in Grandparenting Center programs include: how to navigate relationships with adult children and their new family; ways to help grandchildren financially, from college planning and paying for education to gift allowances and tax implications; grandparents and grandchildren singing Jewish songs and making challah together; supporting the new parents and keeping your grandbaby safe; CPR for grandparents; and grandparenting from afar. These classes provide a way for grandparents to engage intergenerationally and with their grandparent peers. They come as caregivers for their grandchildren and as support to their adult children as they share the legacy of their experience and Jewish tradition. Plans are in the works for upcoming Grandparents Center programs, such as classes for children who attend “grand” camps (for children who spend the summer with grandparents); “grand” playdates; and celebrating National Grandparents Day on September 8. The Bender JCC is often thought of as a community of communities. Perhaps nothing illustrates that concept more clearly than our men’s club, which was established in 2012 and is going strong. 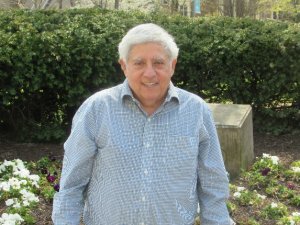 Bender JCC member Lew Cohen has been active in the men’s club since its formation, and serves as treasurer. A Bronx, New York native, Lew served in the US Air Force for three and a half years, and was stationed in England, Turkey and finally Biloxi, Mississippi. After his military service, Lew moved to this area in 1969 to attend the University of Maryland and earn a degree in accounting. 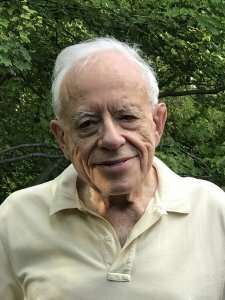 Retired from positions as a CPA and controller, Lew volunteers at the USO at Walter Reed and is on the board of the Jewish Genealogy Society of Greater Washington. The men’s club is welcoming and informal. It started with a roster of 12-15 members, and now boasts more than 200. Held on Tuesday and Wednesday afternoons, meetings are often attended by 60-70 people (though sometimes break into smaller groups). At the meetings, different topics ― such as politics, current events, health and finances ― are discussed. Members sometimes share personal issues or problems. But whatever the subject, the members of the group try to be respectful and learn from each other. Meetings always end with joke time, sending attendees off on an upbeat note. Subject matter experts are invited to address the club on issues of interest on a monthly basis. With a membership that represents a wide range of professions and experiences, the club often draws upon its own members to share their expertise. Next month, for example, physician members will present a panel to discuss topics such as what it means to be a doctor, what they’ve learned about human nature, and the high and low points of their careers. Excursions are another popular component of the club. Trips have been taken to many of the Smithsonian Institution museums, the Library of Congress, Antietam, Gettysburg, the Jewish Museum of Maryland in Baltimore, the National Museum of the Marine Corps at Quantico, and the Museum of the Bible. An annual outing to cheer on the Washington Nationals always draws a crowd; 42 members of the group plan to attend a game on April 28. Smaller communities within the men’s club have emerged in the form of off-shoot groups, including those focusing on investments, Yiddish language and culture, Scrabble, film and dining. One of the most meaningful aspects of the Bender JCC men’s club, according to Lew, is that several members were directly affected by the Holocaust, providing a perspective on life that is unique and profound. Lew says that participating in the men’s club has enriched his life immensely. A priority is to make others in the group feel special and comfortable. The men support each other at difficult times, and celebrate happy times together. Through the meetings, discussions, excursions and social activities, strong relationships form and friendships are forged. After the birth of her second child, Nikos, more than a year ago, Lorena Núñez and her husband Elias were looking for a gym to join. They had friends who belonged to the Bender JCC and invited them to come with them to check it out. Lorena said she was surprised to find out how much was going on here and decided to join. 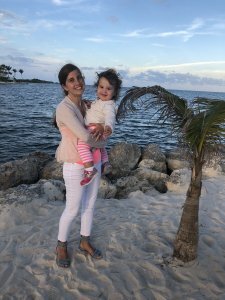 And while feeling part of a community is important to many people, it may be even more so for Lorena and her family, who moved here from Chile three years ago for Elias’ job as an international consultant. Lorena says that the Bender JCC is a great place for families, especially international families who don’t have relatives nearby and need to create their own network for support, entertainment, and socialization. Moving to Rockville from Chile, Lorena had to reinvent her job as a career coach. Now, she has clients from here and from Chile through the online company she owns and manages. The Bender JCC plays a part in that as well, as Lorena often rents a room here from which she conducts business. When asked what she and her family do at the Bender JCC, Lorena’s eyes light up. “A lot of things!” She’s here almost every day. During the week, she drops Nikos off at babysitting while she exercises. Then she goes into a quiet room where she can work, answering emails, creating social media posts and making calls. Many afternoons when her 4-year-old son, Aristides, gets home from school, he wants to come to the JCC to play in the babysitting room [when no one is on staff in the babysitting room, parents may take their children there and stay with them] where he finds the best Transformers. Elias plays basketball at the JCC twice a week. The family can often be found here on Sunday, going to family gym, working out and playing basketball. In the summer, they spend lots of time at our outdoor pool. Lorena says that the Bender JCC is so much a part of her life. One of the hidden gems of the Bender JCC is the Snoezelen room. One of the hidden gems of the Bender JCC is the Snoezelen room. The Snoezelen concept originated in The Netherlands in the 1970s. [The word Snoezelen is a combination of the Dutch verbs “snuffelen” (to seek and explore) and “doezelen” (to relax)]. It is a multi-sensory environment with pleasant surroundings, soothing sounds, and tactile experiences. Some of the features of our Snoezelen room are a bean bag chair that vibrates to music, a swing that can be used for people who have complex physical disabilities, and adjustable lighting to adapt the environment to the individual’s sensory needs. 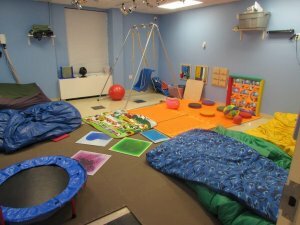 The Bender JCC is proud to be one of the few locations in our area to have this type of sensory room. The Snoezelen room can benefit people with autism, dementia, cognitive disabilities, brain injuries, physical and/or emotional disabilities, sensory issues and dementia. It can help to calm someone who is agitated or stressed, or it can stimulate and motivate someone whose energy level needs to be raised. In 2007, the Bender JCC received a grant from Montgomery County to build the Snoezelen room and recent fundraising efforts from the Dinner of Champions have allowed us to outfit it with new features and equipment. Since the Bender JCC serves people throughout their entire lifespans, the room can be used in many different ways. Camp JCC, for example, is a lively, busy and stimulating environment, with approximately 500 campers enrolled in each session. For many of our campers, being able to decompress in the sensory room allows them to participate even more fully in camp activities. Training of the staff who accompany the users of the room is critical; there are specific ways to use the equipment and to interact with the environment in the Snoezelen room. Inclusion permeates the Bender JCC. Everyone is welcomed and valued for who they are and, with help from the community, supported in meaningful ways. “It was the first outing I made as a new mom with each of my daughters." 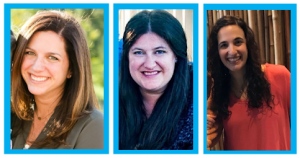 The Bender JCC’s Lauren Dworkin, Jennifer Radosh, and Pam Kaufman are reaching out to engage families with young children throughout the county. The Bender JCC is a place for families, where the groundwork is laid for a life rooted in community (kehillah), repairing the world (Tikkun Olam), and respect for one another (Kavod ha-Briot). It all begins by engaging young families, and our wide range of programming then grows alongside children and families. Family Engagement and the Bender-Dosik Parenting Center; Jennifer Radosh, J Family Programs Director; and Pam Kaufman, Family Engagement Coordinator. What makes Lauren, Jennifer and Pam uniquely qualified to plan, organize and implement programs for young families is that each of them came to their role by first being participants in Bender JCC classes and offerings for parents with young children. In an effort to make programs for young families more accessible, the Bender JCC hosts programs not only at our Center but at venues throughout Montgomery County. “If families can’t get to the Bender JCC, we go to them,” Lauren explains. The Bender JCC has created an initiative to make family programming more geographically accessible throughout Montgomery County. Currently, 1,200 families with young children participate in programs hosted by the Bender JCC. The goal is to engage 2,000 families by the year 2021. Holding programs in more geographically accessible areas makes it convenient for parents with young children to take part in our programs. It also fosters relationships among families in the area in which they live, so that they can find opportunities for support, socialization and lifelong relationships close to home. One of the ways in which the Bender JCC is able to reach families throughout the county is through the Jewish Family Ambassador (JFA) program, which is fully funded by The Jewish Federation of Greater Washington. JFA connects parents with children (36 months and younger) with each other and with the greater Jewish community. Five ambassadors, representing different areas in the county, contact parents within their regions to make them aware of family activities and resources that are available in their neighborhoods, at the Bender JCC, and throughout the county. 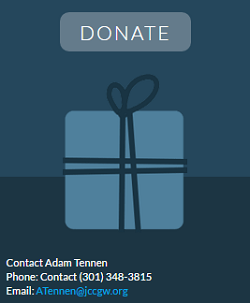 The Bender JCC is also grateful to the Bender Foundation for their support of the Bender-Dosik Parenting Center. Through their generosity, we are able to continue offering popular programs like Shabbat Shabbang, an initiative that helps fulfill part of the Bender JCC’s mission to provide meaningful experiences and connections for families with young children. Three times a year, families are invited for a special evening featuring a seasonally-inspired gourmet meal, lots of wine (! ), engaging entertainment, and educational arts & crafts activities. As a way to further strengthen our efforts to offer kid-friendly activities throughout the community, the Bender JCC partners with area organizations such as Meadowside Nature Center, Barnes & Noble, Whole Foods Market, Stella Barra Pizzeria, Pinstripes, PEP (Parent Encouragement Program), PACE (Parenting and Childhood Education) and Mamas Link. To meet the needs of parents with young children, we will continue to offer favorite programs like holiday celebrations and J Play activities such as Challah Tots and Littles at the Lanes. In addition, plans are underway to offer new initiatives such as Pathways to Parenting, a resource for those looking to start a family; maternal wellness programs; fitness classes for new moms; and pop-up baby and me classes throughout the county. Inclusion is a hallmark of the Bender JCC, and we welcome and encourage diverse families to participate in our parenting programs. We provide support for children who have disabilities at all of our events. We plan to offer workshops specifically for dads, multifaith and LGBTQ families. This year, we will also launch our Bender-Dosik Grandparenting Center, which will offer a series of classes and workshops for new grandparents. In November 2018, the Bender JCC held the Dinner of Champions: Supporting Inclusion at Camp JCC. The event is always special, as it raises much-needed funds for the Camp JCC inclusion program. Having member Shomari Stone emcee the event made it even more special. Shomari says he was honored to be invited to emcee the Dinner of Champions. He accepted the invitation because of his family’s positive experiences at the Bender JCC and a desire to give back. He says that he and his wife Kristal learned a lot about the Camp JCC inclusion program through the process. The Stone family joined the Bender JCC in 2016. “The JCC has everything we need for the entire family. It is a place where the kids can come with their friends and be safe,” Kristal remarks. The Stones say that the recent renovations to the fitness center show action and improvements in progress. “The facility is clean and you cannot beat the family rate for all that it offers. Other fitness facilities are not as family friendly,” Kristal finds. In their spare time, the family enjoys attending sports events, reading, playing golf, riding bikes, traveling and spending time with family and pets. Kristal is also an avid dancer ― particularly Latin dance (Salsa, Bachata and Merengue) ― and has won Bachata competitions. Kristal and Shomari say that belonging to the Bender JCC has been a great experience. The Bender JCC is also a place for gratitude. We sincerely thank the Stone family for being such active and enthusiastic members, and for giving of their time and energy to support the Center and the inclusion program. With a musical background, Enoch Gordis is a regular attendee who has a special appreciation for the series. The Bender JCC’s arts and cultural programming illuminates the human experience through film, music and literary events in a comfortable, welcoming and supportive atmosphere. Our Polinger Artists of Excellence Concert Series is now in its 47th season of presenting rising stars and renowned artists who delight and inspire. A New York City native and retired physician, Dr. Gordis is a graduate of the NYC High School of Music and Art, Columbia College, and the Columbia University College of Physicians and Surgeons. He worked in academic medicine for most of his career, with a specialty in alcohol abuse and alcoholism. Prior to his retirement in 2001, Dr. Gordis was director of the National Institute on Alcohol Abuse and Alcoholism at the National Institutes of Health. 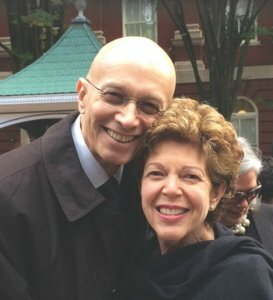 Dr. Gordis and his wife, Mary Ellen Bliss, a retired lawyer, moved to the DC area from New York City in 1986, and have been attending concerts at the Bender JCC since then. A lifelong serious amateur pianist, Dr. Gordis has played solo and chamber music his whole life. “With retirement, I returned to serious piano practice and lessons,” he explains. Dr. Gordis has been a performing member of the Friday Morning Music Club [a community of music lovers and musicians that promotes classical music in the Washington area] for about 16 years. With his depth of musical knowledge, Dr. Gordis listens to each performance with a critical ear, and enjoys some more than others. He often prepares reviews after concerts, and shares them with Janet. Gateways is a Bender JCC program for speakers of other languages. John Schmelzer, second from right, with three of his students who recently passed their citizenship exam. Gateways is a Bender JCC program for speakers of other languages. 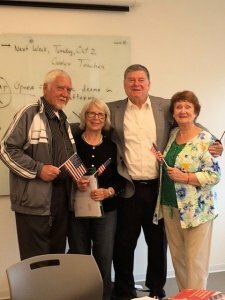 Immigrant seniors from several countries, predominantly the Former Soviet Union, learn English and daily life skills through ESOL classes. They also take citizenship preparation classes, offered at the Bender JCC through Baltimore City Community College. John Schmelzer is one of the dedicated volunteers who teaches Gateways classes. He is particularly proud that three of his students recently passed their citizenship exam. The Gateways program is made possible with support from the Montgomery Coalition for Adult English Literacy and The Marinus and Minna B. Koster Foundation, Inc. Starting the day by dancing helps get camper Tyler and counselor Torie Atkin in the spirit of camp. Starting the day by dancing helps get camper Tyler and counselor Torie Atkin in the spirit of camp. “Words do not describe how much I love Camp JCC and all the lessons I have learned by being a counselor here,” Torie says. 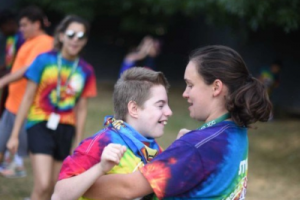 The nationally-recognized Camp JCC inclusion program affords campers with special needs the opportunity for a fun and fulfilling summer camp experience alongside their typically-developing siblings and friends. The program also has a profound impact on counselors and typically-developing campers, who learn acceptance, tolerance and sensitivity. As a result, Camp JCC changes attitudes toward inclusion that extend far beyond the walls of our building. Each year, Camp JCC recognizes its outstanding staff through the R. Andrew Helgeson Heart of Gold Recognition Program. Andrew was an exemplary young man who passed away in 2005, just prior to his high school graduation, from sudden cardiac arrest. He was a Camp JCC counselor whose kindness, warmth, joy for life and love for the campers were extraordinary. For more information about the Camp JCC special needs and inclusion program, please contact Camp JCC Director Phil Liebson at 301.348.3880 or pliebson@benderjccgw.org. Dinner of Champions, the Bender JCC’s annual fundraiser for the Camp JCC special needs and inclusion program, will be held on Saturday, November 17. For details, please visit benderjccgw.org/champions. A Portland, Oregon native, Melanie and her family moved here in 1983. The Bender JCC is a place where families are supported and empowered through diverse and inclusive programming, meeting their needs as they grow and change. Perhaps no one illustrates that better than members Melanie and David Bachrach and their children Josh, 15, and Adam, 11. A Portland, Oregon native, Melanie and her family moved here in 1983. She attended CESJDS and then Kennedy High School, and earned a master’s degree in education. After serving in various teaching and administrative roles with Montgomery County Public Schools, Melanie is now the assistant principal at Garrett Park Elementary School. David is originally from Baltimore, and his family belonged to the Owings Mills JCC in Baltimore County. 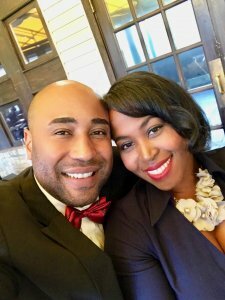 He earned a master’s degree in criminology and is currently a human resources consultant to federal agencies and federal contractors. The Bachrachs joined the Bender JCC when Josh was a toddler and they needed a great preschool option for him. Adam also attended the Bender JCC Preschool, a place to raise children rooted in the same values with which their parents were raised. “We still socialize with many of the parents and kids from preschool, and the kids attend school with many of their peers from the preschool,” Melanie says. In the summer of 2017, Melanie went on a Jewish Women’s Renaissance Project trip to Israel. Two of the other women on the trip were coincidentally moms from their preschool days, and Melanie made many new friends affiliated with the JCC. As Josh and Adam grew older, Melanie and David enrolled them in the Bender JCC’s Kids After School program. The boys attend Camp JCC each summer; this summer, Josh’s role switched from camper to counselor in training. Melanie visits the Bender JCC fitness center almost every day, taking group exercise classes, swimming, and working out on the cardio equipment and with free weights. Her primary social group in the mornings is the “6 AM crew” from the gym, a special community within the Bender JCC community. Once an avid group exercise class attendee, David is currently, as he says, in training for the Couch Olympics. (A “no judgment” zone, we will welcome him back to the gym gladly whenever he is ready!) But he has exercised his mental acuities by teaching a class at the Center on how to play poker. Asked to complete the phrase, “The Bender JCC is a place that…” David responded, “…completes our family.” And having the Bachrach family as active and valued members is what helps make up the rich fabric of the Bender JCC community. Bender JCC’s pilot program, Strong Women of Independent Means (SWIM), was one of three new programs chosen by the Redwoods Group Foundation, out of 139 applicants, as a winner for their “Innovative Challenge” matching the grant. The national competition was open to Boys & Girls Clubs, Jewish Community Centers, Camps, and YMCAs across the country. SWIM was selected for its hopeful impact on systematic change for women and their families, and for its collaborative approach with businesses, educators, financial institutions and other leaders within the community. Matching support is generously being provided by the TD Charitable Foundation, on behalf of TD Bank, and The Marius and Minna B. Koster Foundation, Inc. Taught from the foundation of an ESOL class, SWIM provides direct support to low-income, immigrant women by increasing their knowledge and competence in financial and computer skills while offering individualized career counseling and coaching that is not available to these women in their current workplace environments. SWIM addresses the root cause of financial insecurity through leveraging the students’ desire to learn English speaking, listening, and reading skills through the study of topics that will open the doors of opportunity. Gary Musicante, an ESOL workforce instructor, saw the impact happening outside the classroom and beyond the job as well. Students reported participating in their child’s school activities and teacher conferences for the first time, and even practicing English in the home with their families. There was an overwhelming enthusiasm by the students to continue learning and increase their marketable skills. Out of this desire, the SWIM program was born. In January 2019, the SWIM program will launch at Bender JCC, providing these women the opportunity to dive into ESOL classes that support their financial goals and develop new competencies. Our goal is that they also achieve independence, confidence, and fulfillment. Together, at Bender JCC, we are building Strong Women of Independent Means. When Mary Jane gave up ice skating at age 81, she was looking for another activity to take its place. Bender JCC member Mary Jane Alexander says that as a child, she was “the most uncoordinated, un-athletic kid” who couldn’t jump rope or ride a bike. But in those days, she recalls, girls were not encouraged to be involved in athletics. More than making up for lost time, Mary Jane, 87 years old, takes a Pilates class once a week and also comes to the Bender JCC five days a week to work out. On two of those days, she works with trainer Pete Matthews. Ice skating always fascinated Mary Jane, so she took it up at age 50 when she moved to the DC area from Texas in 1968. “I was the ‘old lady’ with all the little kids taking lessons,” she laughs. She later took private lessons, then became an ice dancer. 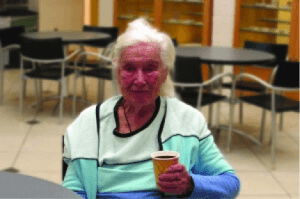 Mary Jane had friends who belonged to the Center, but she didn’t realize non-Jews could join (Mary Jane isn’t Jewish) until she came to an open house about six years ago. “This feels like home,” Mary Jane remembers thinking when she attended the open house. She joined on the spot. Mary Jane holds a bachelor of music from North Texas State University and a masters in music theory from Eastman School of Music at the University of Rochester. She played clarinet professionally until the age of 40, including performances with the San Antonio Symphony and various chamber music groups. Enter the Bender JCC, again. Upon joining, Mary Jane was made aware of the Center’s Polinger Artists of Excellence Concert Series, now in its 47th season of offering our community magnificent chamber music performed by rising stars and renowned artists. Mary Jane enjoys attending these concerts, another way to maintain a healthy way of living. When Mary Jane moved here from Texas, she taught music for Montgomery County Public Schools for 26 years. Now technically “retired,” Mary Jane teaches piano lessons five days a week to a roster of 22 students. Anamaria Caliopi Alexa, from Romania, and her daughter Sydney have found a welcoming community at the Bender JCC. Originally from Romania, Anamaria Caliopi Alexa (Cali) came to the DC area in 2003 when she immigrated with her family. Cali has a degree in public health and is currently a stay-at-home mother to daughter Sydney, almost two years old. Cali’s husband, Bethesda native Michael Rappaport, is a mortgage banking executive. 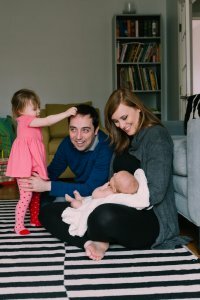 An interfaith family (Michael is Jewish; Cali is not), the couple is raising Sydney Jewish. Attending classes at the Bender JCC has helped Cali to understand and experience more about the Jewish religion, culture, and traditions. Lauren says that is has been so much fun to have Cali and Sydney in her class. For more information about the Bender-Dosik Parenting Center, please visit benderjccgw.org/parenting or contact Lauren Dworkin at 301.348.3837 or ldworkin@benderjccgw.org. Amy Pickard and her older daughter Juliette (2) first became aware of the Bender JCC last fall while participating in local J Play* playdates, such as Challah Tots, where preschoolers and their families meet at local Whole Foods markets on Fridays to make challah, do an activity, and hear a story. Amy and Juliette have also attended bowling playdates for preschoolers and Shabbat Shalom playgroup. 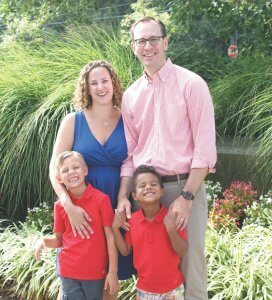 Late last year Amy and her husband, Steven Wellner, began looking for local gyms that offer childcare, “which is pretty much the only way we’d be able to use a gym,” states Steven. Amy is from Syracuse, New York. She has a degree in studio arts from SUNY-Oswego. Steven grew up in Charlotte, North Carolina and Atlanta, Georgia. He is an attorney at the Federal Energy Regulatory Commission, which regulates wholesale electric and natural gas markets. He got his law degree from Georgetown University Law Center and his undergraduate degree from Rice University. The family moved from DC to Kensington last summer “for all the usual reasons, such as more space, a yard, and good schools,” Steven says. The couple’s second daughter, Katherine, born in January, will soon join Juliette in J-Club babysitting when their parents come to exercise. *J Play is a Bender JCC family engagement program in partnership with PJ Library (an initiative that sends free award-winning books that celebrate Jewish values and culture to families with children 6 months through 8 years old). J Play welcomes Montgomery County families for fun Jewish experiences both inside and outside the walls of the Bender JCC. Through playdates, community events and holiday celebrations, families connect and build friendships in the geographic area where they live. Jennifer Chen’s sister Carolyn had occasion to visit the Bender JCC for the first time recently when an organization she belongs to rented meeting space at the center. Carolyn was impressed with the facility and thought that it may be a good place for Jennifer, 41, to take fitness classes. Learning that the Bender JCC is open to all, Jennifer became a member. If you ask Jennifer, who has mild learning disabilities, what classes she takes here, you better have a lot of time on your hands; she’s got a long list. Jennifer is often here three days a week participating in such classes as gentle yoga, cardio fusion, stretch, and balance and strength. “The people are nice and they give clear instructions,” Jennifer says about some of the reasons she enjoys the classes. Jennifer has belonged to other area fitness centers but, according to Carolyn, this is the first one where Jennifer feels she is truly part of a community. It’s not as intimidating here as other fitness centers can be, Carolyn says. Her sister feels comfortable going at her own pace and asking for help when necessary. Jennifer has also trained with Obi Ikwuakor when Obi was a Bender JCC personal trainer (Obi is now a Bender JCC membership sales representative). Carolyn says that the fact that there is a gym at the Bender JCC is a big benefit for someone like Jennifer, who loves to play basketball. Jennifer was a bowler with the Special Olympics, and she also enjoys swimming. When she takes a break from exercising, Jennifer works at a local grocery store. She also volunteers as an usher at Olney Theatre Center (and hopes to usher at Strathmore in the future). Obi says that by the same token, Jennifer puts everyone with whom she comes in contact at ease. The winter months can be an isolating time, which is one of the reasons that the Bender JCC’s Selma Sweetbaum Senior Satellite Program is such a vital asset for senior adults in our community. Offering opportunities for nutrition, socialization, entertainment, exercise and education, the program meets in Rockville at the Bender JCC and Ring House, in Wheaton at Har Tzeon Agudath Achim, and in Silver Spring at Young Israel Shomrei Emunah Congregation. Results from a recent survey indicate that we are meeting our goals of providing better nutrition, socialization and quality of life for seniors. 92% rated the social environment as good or very good. The Bender JCC collaborates with community partners to fill critical gaps in needed services for seniors. Partners include The Jewish Federation of Greater Washington; Meals on Wheels of America; Montgomery County Health & Human Services and Recreation; Melvin J. Berman Hebrew Academy and Charles E. Smith Life Communities; Leisure World; and Jewish Council for the Aging’s Senior Community Service Employment Program. We also partner with local hospitals and healthcare professionals to offer free wellness programs and health screenings— including blood pressure, bone density, and glaucoma testing—to Montgomery County seniors year-round. Partners include Adventist Healthcare; National Parkinson’s Foundation Center of Excellence at Georgetown University Hospital; and Shady Grove Adventist Hospital. 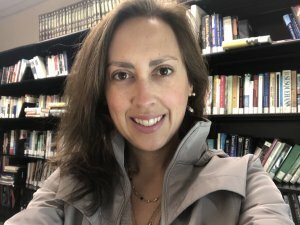 Rabbanit Chava Evans recently joined the Bender JCC staff as director of Jewish life. Through this position, Rabbanit Evans hopes to build personal relationships and work collaboratively across departments, with a variety of constituencies and with partner organizations, to enrich Jewish life and infuse Jewish spirit throughout the Bender JCC and the communities it serves. The Bender JCC is grateful to Yeshivat Maharat, Aviv Foundation, Mayberg Foundation and Sharon and Steven Lieberman for helping to fund this position. Through funding partnerships, we are able to offer valued resources such as this to our community, enabling individuals and families to explore Jewish heritage and culture. Please read on to learn a little bit about Rabbanit Evans. Please tell us where you’re from. I am from Boston, and I moved with my mother and siblings to a small town in Vermont when I was in 7th grade. When I was 18, my family moved to Europe and I spent my vacations from school with them in Germany and Italy. Eventually they moved back to the States, but I moved to Israel for several years in my early 20s. Since then, I’ve been gradually making my way down the East Coast — Boston, Providence, Philadelphia, Baltimore, New York and finally, Rockville. 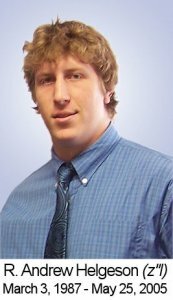 My husband, Mark, is a computer science professor at Johns Hopkins. We have three children: Gilah Channah, 7, Hadar Chasyia, 4, and Micah Lev, 21 months. I initially trained as a painter and worked in children’s illustration and educational publishing for nearly a decade before going to rabbinical school. I have a dual degree in Illustration and religious studies from Brown University and the Rhode Island School of Design (RISD). I then went to Betzalel Academy of Art and Design in Jerusalem for a year, but transferred to an atelier (also in Jerusalem) run by painter Israel Hershberg. While there, I also studied Talmud and Halacha at Nishmat: Center for Advanced Torah Study for Women. Then I came back to the US and got my MFA at the Academy of Fine Arts in Philadelphia. I worked in Philly for five years in a great illustration/toy design studio before we had our first child and moved to Baltimore. I worked for another four years in Baltimore as a free-lance illustrator and studio artist before matriculating at Yeshivat Maharat in the Bronx. Yeshivat Maharat is the first Orthodox institution to grant semikah (rabbinic ordination) to women. There are about 20 graduates now working in Jewish leadership, education and Jewish communal service worldwide. In what other positions have you served? I have served as rabbinic intern at Pearlstone Center, B’nai Israel in Baltimore, and the Hebrew Institute of Riverdale in the Bronx. I have taught Torah at numerous institutions in the Baltimore and New York areas. What are some projects you’re working on at the Bender JCC? In the three months since I began working at the Bender JCC, I’ve worked with the preschool and school-age children, Women’s Connections (a group for women), senior adults and the health & fitness department to enhance Jewish life and infuse Jewish spirit at the Center. Two projects I’m currently working on are Noah’s Art and the Jewish Ethical Wills Project. What is the Noah’s Art initiative? Noah’s Art is an intergenerational art project conducted in conjunction with JCC Budapest. Bender Preschool children learn about Noah, and meet with senior adults from our Tuesdays @ the J program to work on art projects inspired by Noah’s Ark. The pieces they create will be made into a mural. The JCC Budapest is simultaneously working on the same project, and the two centers are communicating about their experiences via Skype. The joint venture will culminate in a brochure — written in Hungarian and English — documenting the works and experiences of both JCCs. Please tell us about the Jewish Ethical Wills Project. Through a grant provided by the Jewish Theological Seminary and in collaboration with the JCC Manhattan, the Bender JCC is one of three pilot JCCs involved in this initiative. I am being trained on how to assist others in creating an ethical will, which describes a moral legacy shared through favorite stories, life lessons and blessing for the future. When I complete the training, I will offer an ethical wills class at the Bender JCC designed for the baby boomer generation. For decades, the Bender JCC has served as a gathering place where families with young children can connect with each other and the larger community. In response to the growing trend of young Jewish families moving throughout the county, we have established J Play, a partnership with PJ Library. Through Jewish-themed programming that is geographically accessible, this family engagement initiative helps to build cohesive Jewish communities within neighborhoods. Participant Cindy McAllister says that she and her daughters love going to JPlay events because there are always fun crafts to make, and everyone who runs the programs is so warm and friendly. She appreciates that it provides the chance to spend quality time with current friends, and the opportunity to make new friends. Family Programs Coordinator Jennifer Radosh says that J Play is a great opportunity for Montgomery County families to come together for fun Jewish experiences outside the walls of the Bender JCC. “J Play offers the chance to make new friendships or strengthen old ones. It can introduce people to the Jewish community or deepen one’s Jewish identity,” Jennifer states. 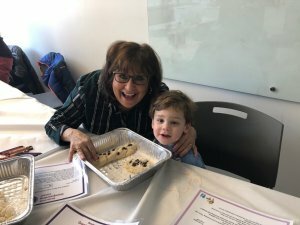 Through J Play’s program Challah Tots, held approximately twice a month at area Whole Foods Market stores, young children and their parents read stories about Shabbat and braid challah dough to take home and bake. In our outreach efforts, we are pleased to partner with many community organizations such as The Jewish Federation of Greater Washington, Charles E. Smith Jewish Day School, the Jewish Community Center of Northern Virginia, Strathmore Hall, Montgomery Parks/M-NCPPC, Meadowside Nature Center, Locust Grove Nature Center and congregations Beth El, B’nai Israel and Shaare Torah. In addition, we have joined forces with businesses such as Barnes & Noble Booksellers, BounceU, Butler’s Orchard, Dawson’s Market, The Fresh Market, Menchies, Pinstripes, Rockville Town Square, Stella Barra Pizzeria, Strathmore, Tutti Frutti Frozen Yogurt, Whole Foods Market and ZBounce. For more information about J Play, please visit www.benderjccgw.org/jplay or contact Jennifer Radosh at 301-348-3848 or jradosh@benderjccgw.org. The nationally-recognized Camp JCC inclusion program has afforded campers with special needs the opportunity for a fun and fulfilling summer camp experience alongside their typically-developing siblings and friends. 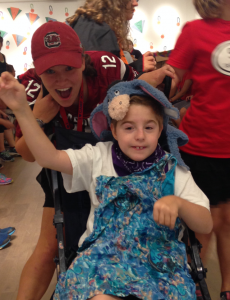 In this article, Torie Atkin and Marc Silverman reflect on their experiences as counselors in the Camp JCC inclusion program. For more information about the Camp JCC special needs and inclusion program, please contact Camp JCC Director Phil Liebson at 301-348-3880 or pliebson@benderjccgw.org. Dinner of Champions, the Bender JCC’s annual fundraiser for the Camp JCC special needs and inclusion program, will be held on Saturday, November 18. For details, please visit benderjccgw.org/champions. Torie Atkin: “As I walked into Eva’s [Eva Cowen, director of Kochavim, Camp JCC’s transitional program for teens and young adults with a wide range of disabilities] office four years ago for my camp interview, I had no idea how much it would change my life. When I applied, the only jobs left were working in the inclusion program with teens with disabilities. I had no experience but said that I was willing to learn and try my best. That was good enough for Eva. As I went through my first day, I was surprised at how easy it was to connect with the campers. They liked movies and sports and cheesy jokes and before I knew it, coming to work felt more like hanging out with my friends than a job. I came home every day with stories about my campers, like how one camper jumped on stage to teach a Zumba dance and how another taught me to speak a different language. I fell deeper and deeper in love with the campers. That isn’t to say that my job isn’t hard at times. There have been countless times where I have felt frustrated, confused and even sad at camp. But one of the best things about our program is that you are surrounded by other counselors who can step in and help you, so you are never facing anything alone. “I started working at Camp JCC in 1993. I have cerebral palsy and wanted to work with children with special needs. My second summer, I was a counselor-in-training with a small group of children who would eventually become part of the inclusion program the following year. From 1995-2001, I was a counselor for the teen program, which served adolescents with special needs from the ages of 14-21. The campers with whom I worked had a diverse range of developmental disabilities. Some had autism, as well as hearing and visual impairments. For several summers, I was a one-to-one counselor for an adolescent who was legally blind and had a developmental disability. I worked with Eva Cowen and Sara Milner [former Camp JCC director]. Their support was the best. If there was a challenge or difficulty, I always felt comfortable confiding in my colleagues and superiors. Eva and Sara provided thorough and excellent training. Working at Camp JCC as a special needs counselor definitely influenced my career choice, helping to solidify my goal of wanting to help people. I loved working with both campers and the staff. It truly was a warm and nurturing atmosphere, one that I remember with great fondness. I graduated from the University of Hartford in 2001 with a major in sociology and a minor in human services. I attended Columbia University School of Social Work, graduating in 2003 with a master’s degree. I am a licensed clinical social worker, working in the field of domestic violence in a high school setting. 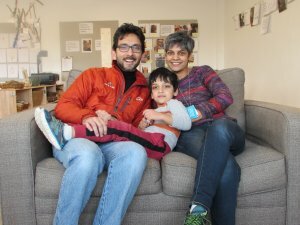 Parents Neelam Singh and Samir Qadir say the Bender Early Childhood Center provides the best balance between learning and letting children be children. It’s often said that the Bender JCC is for everyone “from babies to bubbies.” But Sahil Qadir, a 5-year-old Bender Early Childhood Center student, started at the Bender JCC even before birth. In 2010, Sahil’s parents, Neelam Singh and Samir Qadir, joined the JCC. They lived close by and often used the fitness center, especially the pool. When Neelam was pregnant with Sahil, she started experiencing leg pain and nothing helped except swimming regularly in the JCC pool. “I would go to the pool after work, sometimes really late in the evening; the JCC being next door made it very convenient,” Neelam says. Thus began Sahil’s journey at the Bender JCC. Neelam and Samir are both from India, and grew up in and around New Delhi. They came to the United States for graduate school, and settled in Rockville for work in 2006. Neelam is a senior associate at an environmental nonprofit, and focuses on climate change. Samir is an environmental engineer at a consulting firm that provides environmental services to state and federal agencies. When Sahil was born in 2013, the family started to take advantage of the Bender JCC’s programs for infants. It was a natural progression, then, for Neelam and Samir to enroll Sahil at the Bender Early Childhood Center when he was old enough. “We looked into other preschools, but felt that the JCC provided the best balance between learning and letting children be children,” explains Samir. “We like the Bender preschool’s philosophy of child-centered education, where teachers facilitate learning through exploration,” adds Neelam. Because Bender JCC preschool students have access to a variety of classes and activities during the day, Neelam and Samir don’t feel the need to enroll Sahil in outside activities on weekday afternoons or weekends. “That gives us an opportunity to enjoy more family time,” Neelam states. Sahil says his favorite part of preschool is the sandbox in the new front playground. “But Sahil also loves all his teachers, his sports and swim lessons, story time, doing art and experimenting with new materials and objects in his class, and just being able to play with his friends and be silly!” Samir reports. 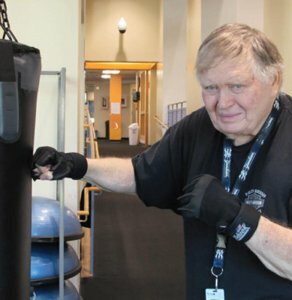 As a new year begins and many of us resolve to live a healthier lifestyle, Bender JCC member Darryl Weiler is an example to emulate. Since retiring in 2014 after a career as a software quality assurance engineer and systems analyst, three-day-a-week workouts have become an essential part of Darryl’s routine. As for the other half of the battle, having lost 65 pounds since Darryl started working out here is evidence to the fact that it’s going in his favor. The Jacksonville, Florida native has been involved in many sports — karate, judo, fencing, soccer and baseball among them. But boxing is the one that is in Darryl’s blood. His father, grandfather and uncle were boxers. Darryl fought Golden Gloves (annual competitions for amateur boxing) in high school, and he sparred with pros in college. An illness in June — during which he spent a considerable amount of time in the hospital and at a rehabilitation facility — only strengthened Darryl’s determination to get back on the bike, literally. 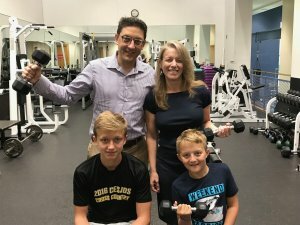 By September, Darryl had returned to the Bender JCC health & fitness center, going through his usual circuit which includes riding the recumbent bike, hitting the punching bag and doing reps on many of the strength-training machines. By December, he had climbed back almost to the level he had reached prior to becoming ill. 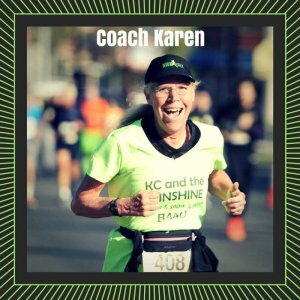 Upon retiring, Karen became a nationally-certified running coach. She is a member/volunteer of Montgomery County Road Runners Club and the race director of Run Under Lights 5K, which takes place every November in Seneca Creek Park, Gaithersburg. Karen says that it is a thrill to see people do something that they never thought they would be able to do—complete a 5K run. The program starts off with walk/run ratio intervals (3 minutes walking, 1 minute running) and slowly progresses to the point where participants are doing more running than walking and eventually, all running. “The program is so gradual and supportive that it surprises people who often approach it with apprehension and anxiety. They discover that they actually can run a 5K,” Karen remarks. The program has an educational component, addressing topics such as running gear, nutrition, hydration and injury prevention. “My coaching experience has included 5K, 10K, 10-mile, half-marathon and full-marathon programs, but my heart lies with the Couch to 5K program and seeing people become runners,” Karen reflects. Are you interested in running in the JCADA (Jewish Coalition against Domestic Abuse) 5K on October 22? Then now is the time to sign up for Couch to 5K! With Camp JCC in full swing, we reflect on the profound effect our nationally-recognized Camp JCC inclusion program has on campers with disabilities by offering them the opportunity for a fun and fulfilling summer camp experience alongside their typically-developing siblings and friends. The program also has a strong impact on counselors and typically-developing campers, who learn acceptance, tolerance and sensitivity. Marc Silverman, a licensed clinical social worker, was a Camp JCC counselor from 1993 through 2001. He has cerebral palsy and wanted to work with children with disabilities. The campers with whom he worked had a wide range of developmental abilities. Some had autism, as well as hearing and visual impairments. For several summers, he was a one-to-one counselor for an adolescent who was legally blind and had a developmental disability. Marc says that the Camp JCC inclusion program is an excellent program that allows campers with disabilities, who might otherwise be isolated, to be part of a larger community. “Working at Camp JCC as a counselor for children with disabilities definitely influenced my career choice,” Marc asserts, saying that it helped solidify his goal of wanting to help people. He graduated from the University of Hartford in 2001 with a major in sociology and a minor in human services. He then attended Columbia University School of Social Work, graduating in 2003 with a master’s degree. 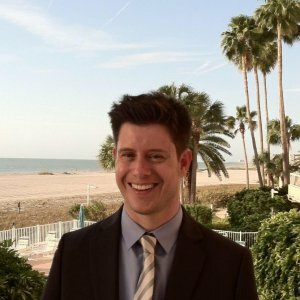 Marc currently works in the field of domestic violence in a high school setting. 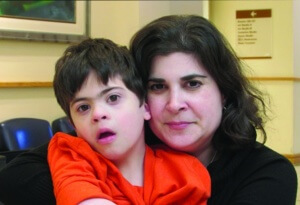 Camp JCC changes attitudes toward inclusion that extend far beyond the walls of our building. The support of our generous donors helps to make that happen. 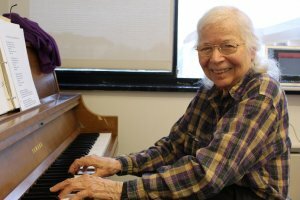 Jeanette Greenberg looks forward to every Tuesday at the Bender JCC when she sings and plays piano in the senior adult chorus. 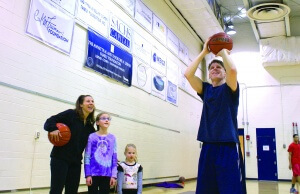 Scholarships can be the determining factor for participation at the Bender JCC. 132 seniors, like Jeanette, receive financial assistance so they can a part of our community and participate in the many activities here. Click here to listen to Jeanette’s inspiring story! Joanie Steinberg is a participant in the hybrid fitness class — a mix of strength, yoga, Pilates and balance work-geared toward improving flexibility and enhancing state of mind for those with Parkinson’s. Among the many fitness programs offered by the Bender JCC are classes like hybrid fitness for the Parkinson’s community. Held in partnership with MedStar Georgetown University Hospital as part of The Edmond J. Safra National Parkinson’s Wellness Initiative of the National Parkinson Foundation, the program is designed to improve the lives of those impacted by Parkinson’s disease through fitness, support, education and socialization. This story is one of many examples of how the Bender JCC provides a warm and welcoming place for those of all abilities, and is committed to improving the quality of life for all. Lindsay and Fred Jauss joined the Bender JCC when their older son. now 7, was 2 years old and they were looking for a preschool. As an interfaith couple [Lindsay isJewish and Fred is Catholic]. Lindsay says that they appreciate how the preschool weaves Judaism into the everyday. This story is one of many examples of how your support enriches lives and enables us to embrace and welcome the diversity of our community. There’s something about this place. “Just because I’m blind doesn’t mean I can’t see what’s important,” says Lee Greenwald, 91, a regular participant in Bender JCC’s senior adult programs. A Bethesda resident, Lee used to take public transportation to the Bender JCC. Now that it’s harder for her to get around due to her vision impairment, she appreciates the specialized “door-through-door” transportation service funded by Bender JCC that enables her to attend activities here twice a week. Lee enjoys all aspects of the Bender JCC’s senior adult program, from chair exercise to a delicious hot kosher lunch to entertainment by talented performers. She’s also thinking about taking a ceramics class here. For Lee, it’s really about getting out of the house and meeting new people. This story is one of many examples of how your support enriches lives. Zac Tolin claims that he has shot more baskets in the Bender JCC’s gym than anyone else. Zac is part of a four generation family that calls the Center a second home. From his grandfather participating in Bender JCC programs when he lived at the Hebrew Home to his parents standing at the grand opening ceremony in 1969 to meeting his wife while working out in the fitness center in 1993, and now his kids regularly taking part in classes, Camp JCC, swimming and much more. Zac’s story is one of many examples of how your support enables us to be a place of celebrations, connections, education, friendships and healthy bodies…for life. 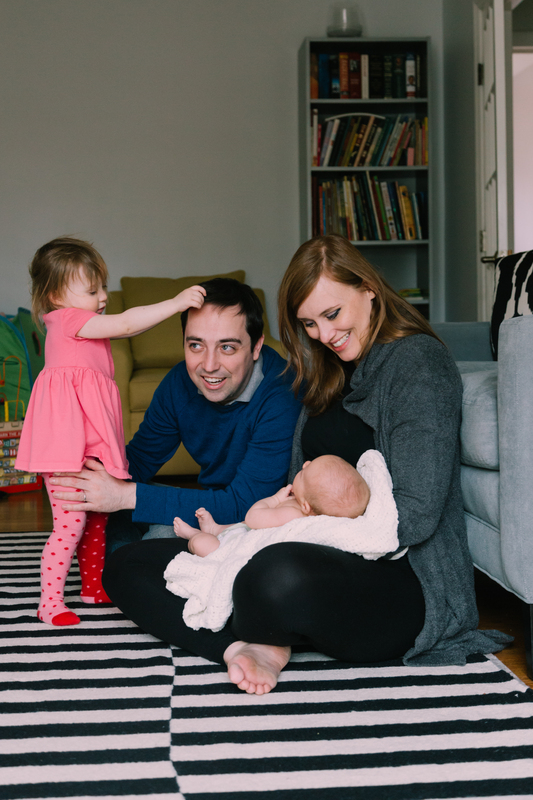 For Ali Levingston, becoming a parent for the first time was an exhilarating experience. It was also overwhelming, which is why it is often helpful to have other new parents with whom to celebrate and – occasionally – commiserate. The Bender JCC’s Bender-Dosik Parenting Center is proud to serve as a catalyst for so many young families in our community to form lifelong connections, offering experiences to grow as Jewish parents. Ali found her community here three years ago when she formed close and lasting friendships with several other moms. This story is one of many examples of how your support enables us to be a place of celebrations, connections, education, friendships and healthy bodies….for life. “My 8-year-old son, Jake, has Down syndrome and requires additional support to address his special needs. Jake has limited opportunities for interactions with typical peers during the school day. That all changes after school when Jake attends Kids After School (KAS) at the Bender JCC. Here, Jake is fully included in all activities thanks to his amazing counselors, and the wonderful director of special needs and inclusion who keeps on top of anything going on in his life that may impact his after-school experience. All of the counselors, not only Jake’s assigned ones, go out of their way to get to know Jake and to promote interactions between him and his typical peers.